A good friend of mine recently gave me some sage advice. To paraphrase, he mentioned that it’s a crime to dig too much into the distant past, for fear of ignoring more recent bands who are making incredible music. By doing this, it only dooms modern bands to the same fate as their forgotten predecessors. I can’t agree more, and while I’m still on the hunt for forgotten 80s treasures (and have plenty more coming in the mail, mind you), there are quite a few bands from the turn of the century that have already fallen by the wayside in lieu of their more Pitchfork-centric peers. While the post-punk resurgence of the mid-2000s wasn’t the true second coming we all hoped it would be, there are still several bands who managed to make some incredible music, overshadowed by bands like Interpol, The Strokes, The Rapture, etc., who dominated the scene. I received a lot of great feedback about Branches, another band that Jason recommended and shared a rip of here, and with his advice in mind, I plan to share a handful of more recent bands that we’re both fond of. 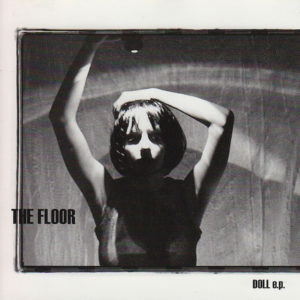 First up is The Floor, a Canadian band who flirted with electronics, classic post-punk bass tones, and shoegaze textures, mixing those timelessly great techniques with big hooks, solid musicianship, and killer songs. I discovered their only full length back in 2006, shortly after it was released, and it’s a seasonal favorite. Over the years, I’ve clocked more plays on Personnel than I have any other album from that era, and know the whole record like the back of my hand. However, I hadn’t heard anything else from them, and as like many bands from that era (including many of my own), I presume they broke up soon after. 8. What Do You Know? Thanks for all the requests over the past few weeks, ladies and gents…I’ve been uploading them slowly but surely over the past few posts, and ideally, I shall attend to each one of them in the very near future. 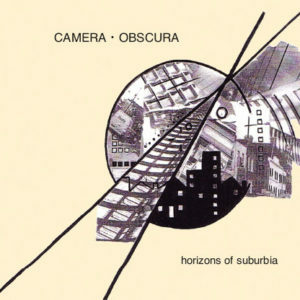 Today’s request was for Camera Obscura’s Horizons of Suburbia LP, a synth/wave gem from 1983. Well…not quite. 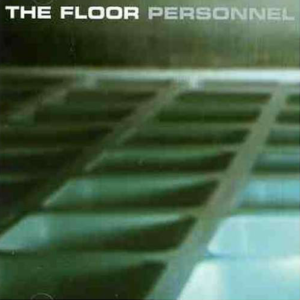 These ten tracks were recorded fifteen years ago but remained unreleased until 2005. Previously, the only documented Camera Obscura releases were a 7” single and a lone compilation appearance. 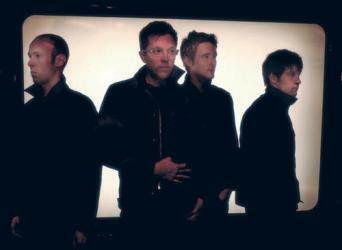 For the record, there seem to be several bands bearing the same name, including a rather prominent indie pop group. This particular Camera Obscura, however, consisted of Nigel James and Peter Oldroyd and hailed from the UK. The band formed in 1982 and soldiered through record label hardships until 1987, when the band when on indefinite hiatus. In 2005, however, Nigel and Peter dusted off their old material and took to playing shows throughout Europe, meanwhile releasing this lost classic as well as a live record and re-recorded single material. All recent Camera Obscura material has been released by German label Anna Louge Records. Happy Monday, ladies and gents… Today’s post features a recent favorite EP by mutant synthpunk act Duchess Says, a French-Candian outfit featuring a full lineup of guitars, drums, synths, and intensely driving female vocals. 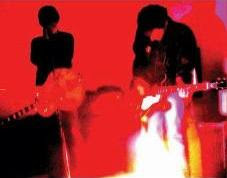 Formed in 2003, Duchess says have released a lone EP, winning over fans with their catchy tracks and otherwise eccentricity, marrying their abrasive dancefloor sound with hyperactive stage performances and theatrics, including readings from the Pamphlet of Budgerigars, an alternate religious text created by members of the band, who claim to serve in the Church of Budgerigars. According to scattered interviews and reviews, he church primarily celebrates the consumption of beer, numerology, and the band itself. 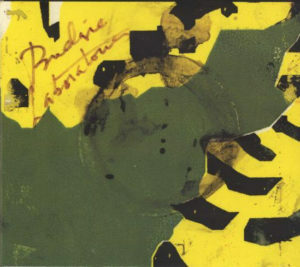 I’ve uploaded the band’s 2005 EP, Noviçiat Mère-Perruche. 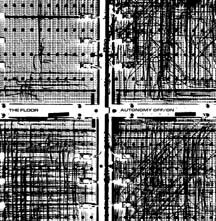 Four tracks long, and featuring a cover of (previously uploaded) Six Finger Satellite’s ‘Rabies’, it’s a shame it’s so short, since it leaves you wanting more. and for your viewing pleasure, here’s a live clip of the band performing ‘Black Flag,’ the final (and my favorite) track from Noviçiat Mère-Perruche. Very seldom can a stellar band split up and form two equal (if not better) bands in the wake of their demise. 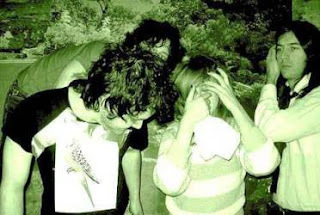 This is fortunately the case with Skywave, a since defunct noise-pop band from Virginia which yielded both previously covered A Place to Bury Strangers and today’s band, Ceremony. Whereas APTBS was formed in NYC by guitarist Oliver Ackermann, ex-Skywave members Paul Baker and John Fedowitz continued on as Ceremony in their hometown of Fredericksburg, Virginia. Though Ceremony also continues down a similarly apocalyptic path with their blend of harsh noise rock, they’ve taken added a more notable synthetic element to their songs, which splinter with distortion, hard-hitting drum machines, and whirring electronic melodies. I’ve uploaded a single track from their newest offering, 2007’s full length recording, Disappear. As a bonus, I’ve also zipped up an earlier EP for your listening pleasure. Lo and behold! For the first time in what feels like ages, I can effectively post purchasing links and live videos as additional treats, since Ceremony is a currently active band with easily available material. On that note, here’s an appropriately glitchy video for the song ‘You Never Stay,’ also featured on Disappear.